A driver involved in an accident in Northwest Bakersfield died from injuries in early February. In this accident, the driver of a Nissan Frontier drove into oncoming traffic and crashed head-on into a Ford Explorer near Meacham Road and Starside Drive. The criminal outcome in both traffic accidents is unknown. What is also unknown is whether the victims of these accidents will file personal injury claims against the drivers who caused their injuries. What is known is that Bakersfield has seen a higher number of traffic accidents than other California cities. Unfortunately, many of these traffic accidents are fatal. According to the California Office of Traffic Safety, or COTS, the number of fatal traffic accidents or traffic accidents with injuries in 2014 was 1,735. Bakersfield was ranked eighth out of 14 California cities of similar size for traffic accidents caused by drunk drivers 21 to 34 years old. A wrongful death claim is the result of someone negligently causing the death of another person. The individual at fault acted in such a way as to cause an accident. For instance, a driver who does not stop for a bicyclist and hits him or her failed to obey a traffic law. If the bicyclist dies, his or her family can sue for wrongful death. If the person is injured but does not die, he or she can file a personal injury claim. No amount of money can replace a loved one. The goal of a wrongful death claim is to alleviate the economic hardship caused by the victim’s untimely death. No family should have the burden of paying for the victims funeral costs or any other costs associated with their death. A wrongful death claim seeks to recover those damages from the person at fault. The family can also seek compensation for lost income and loss of companionship. The complexity involved with calculating compensation in a wrongful death case makes them extremely difficult to navigate. For this reason, it is imperative that you seek out a wrongful death lawyer in Bakersfield to recover the compensation your case deserves. Some damages, such as pain and suffering and lost wages require careful navigation and presentation in court to receive the full amount your case warrants. Based on the answers to these questions, the family would have a claim based on their dependence upon the person who passed. A spouse who is currently married to the deceased would be entitled to more damages than one who is separated. If the deceased, or any party other than the deceased, were in any way at fault in the incident, a “fault percentage” is determined and based on that percentage, subtractions will be made from compensation. Did you know that Bakersfield averages more fatal road traffic accidents than California as a whole? 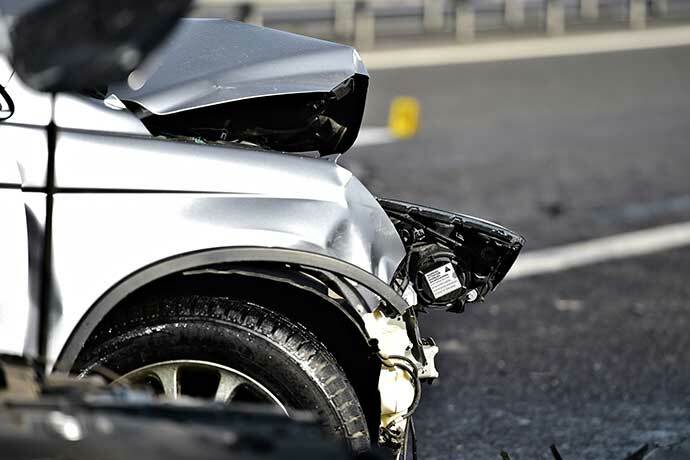 If your loved one has died because someone negligently caused an accident, contact us. We will fight on behalf of your family.